Anyone in the mood for an opinion piece? I serve ’em hot and fresh! Thumper, described by its developers as a “rhythm violence game,” was one of my favorite experiences of 2016. It’s a visceral, challenging, and rewarding experience, finding new design space to explore in a long-flagging genre. Like several recent indie games, it shipped with both a traditional screen-based mode and a VR mode, the latter of which I only got to try today thanks to Kris. 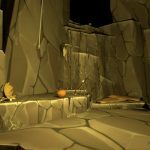 I was excited to check it out–such a physically evocative game could only be amazing with the added sense of presence that VR brings to the table, right? The game in VR isn’t bad, of course. 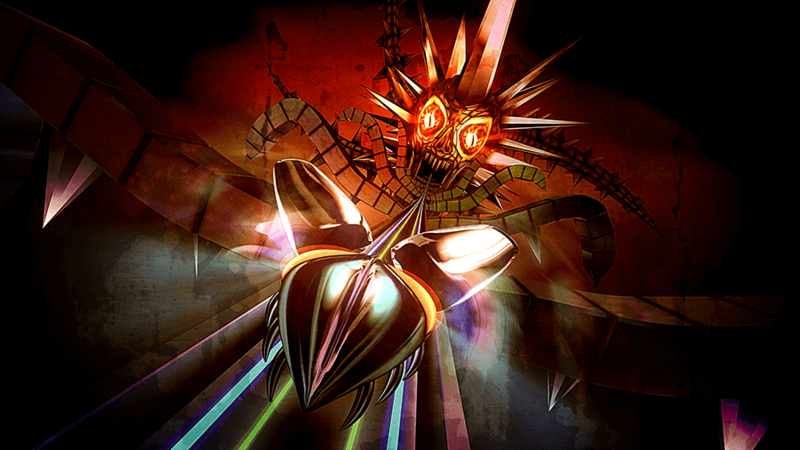 It’s Thumper, which has always been a fantastic game. The problem is that it’s only Thumper. The only element of the game that is stronger in VR is the spectacle of it–but it’s the same sort of indulgent spectacle as a kid sitting five inches from the television. I don’t mean to pick on Thumper. I just find it to be a good representative to a design trend in VR that I think does nothing but damage the medium. So many developers are content to borrow the conventions of traditional genres whole cloth, without much thought to how the change in medium affects the experience and the player’s relationship to the mechanics. For every Robo Recall, a game which understands the kinesthetic and perceptual impacts the medium has on the experience of a shooter game, there’s at least one Arizona Sunshine, which seems stuck in the old ways. 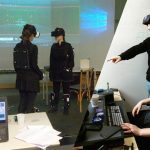 While hardware manufactures have been quite successful recently at reducing the price point of VR, the platforms will require a “killer app” to really make inroads on the market. That will not be one of these games. Instead of direct ports, we should be looking for new mechanics that can only exist in VR. We need to be very careful when looking to the games of the past for inspiration, as they can very easily lead us down unproductive paths. Instead, we need to move the medium forward by trying new things in order to discover new design spaces where VR genres can be formed. I can say from experience that this is very difficult. That shouldn’t stop us from trying. Experiment, and keep prototyping until you find what’s right. 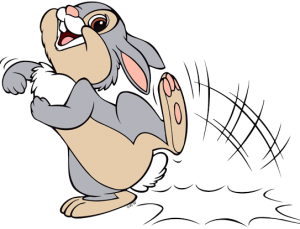 It’s hard work, but like Bambi’s Thumper, you just have to keep hopping along.